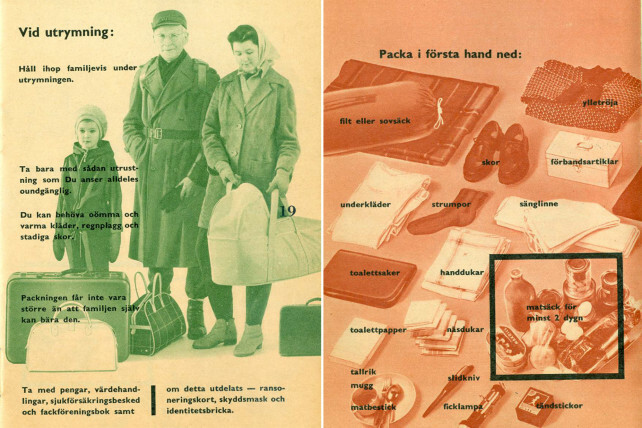 (by Mark Moore, New York Post, Jan. 17) – Sweden is preparing to reissue a pamphlet first sent out during World War II — on how to respond if war breaks out — to 4.7 million households as it deals with Russia’s aggressive actions in the region, according to reports. The booklet, titled “If Crisis or War Comes,” will advise people on how they can take part in the “total defense” of the country and offer practical information on how to prepare their homes, secure food and water, and even what clothes to pack in case of evacuation, Quartz reported. The updated manual will also tell Swedes how to react in case of a terror attack or a natural disaster and give advice on handling false information and propaganda, the website reported. “All of society needs to be prepared for conflict, not just the military. We haven’t been using words such as total defense or high alert for 25 to 30 years or more. So the knowledge among citizens is very low,” said Christina Andersson, who is heading up the project at the Swedish Civil Contingencies Agency, according to the Financial Times. Sweden has grown worried about Russia’s motives following the country’s annexation of Crimea, its support for Ukrainian separatists and its decision to conduct military exercises near the Baltics and Scandinavia, the newspaper reported. 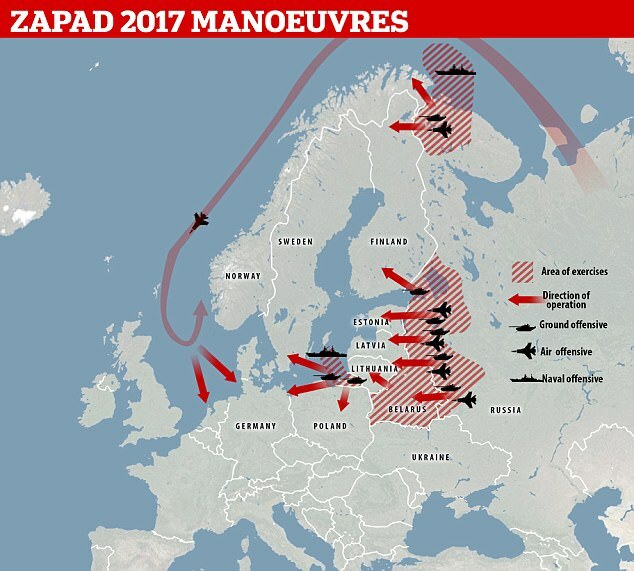 Last year the Russian military conducted drills experts believe rehearsed the capture of the Baltic states – Estonia, Latvia and Lithuania – as well as Poland, Norway and the non-aligned states of Sweden and Finland. In response, Sweden ramped up its military spending, reintroduced the draft and placed permanent troops on Gotland, an island in the Baltic Sea, for the first time in 10 years. Sweden also engaged in war games with the United States, Finland, Denmark, Estonia, Latvia, France and Norway in September 2017. It was the country’s largest military exercise in 23 years. The Nordic country has also renewed debate on whether to join NATO, the alliance of European countries and the United States created after World War II. “What was unthinkable five years ago is no longer unthinkable, even if it’s still unlikely. This has very different policy implications,” Martin Kragh, head of the Russia program at the Swedish Institute of International Affairs, told the Financial Times. The pamphlet, which was discontinued in 1991 at the end of the Cold War, will be distributed during Emergency Preparedness Week at the end of May, Quartz reported. b) Why is the Swedish government so concerned about Russia? c) The pamphlet is the latest precaution – what larger steps has the government already taken? d) Read the “Background” below. Should the countries near Russia be reassured by its explanation for the military’s exercizes? Explain your answer. Attacks on Sweden and Finland were rehearsed because Russia ‘would not expect them to remain neutral’ in the event of a real war, Western intelligence experts suggested. The massive program of war games featuring tens of thousands of troops and code named Zapad took place near the Belarus capital Minsk in September. The war games also involved anti-submarine warfare and air defense drills throughout the Baltic Sea. Analysts from two Western intelligence agencies claimed that the exercises, which included artillery, tanks, rocket launches and simulated air and navy raids, were a dry-run for a ‘shock campaign’ against Western European NATO members. Moscow has repeatedly said the ‘Zapad’ exercises were purely defensive in nature and were not aimed at targeting a third country or group of countries. In 2016, the Swedish civil contingencies agency sent out a letter to all local authorities telling them they must be better equipped to respond to the threat of war.